This 13" seat keeps the passenger as comfortable as the driver. The controlled-density foam is designed for ample support and all-day riding comfort. Studs and decorative braid add a classic look. 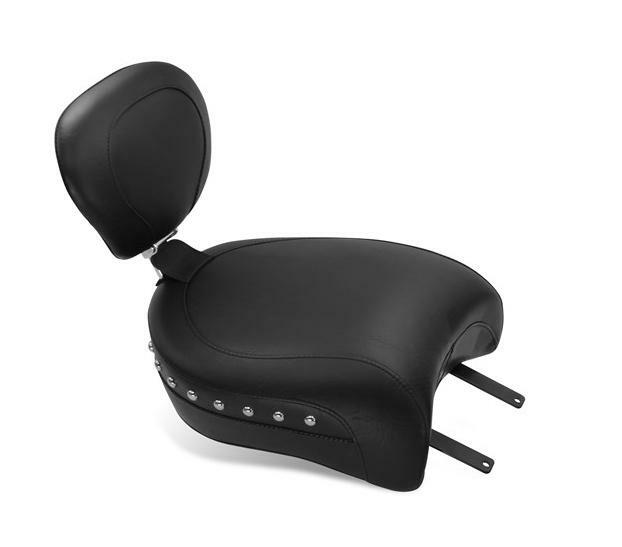 The built-in passenger backrest (sold separately) offers more features than any other backrest on the market. Note: Will not work with stock solo.